Supreme Court Justice Ruth Bader Ginsburg is in the hospital this morning. According to the Court, she fell in her office at the Supreme Court last night. “She went home, but after experiencing discomfort overnight, went to George Washington University Hospital early this morning. Tests showed that she fractured three ribs on her left side and she was admitted for observation and treatment,” according to the Court’s statement. There has been much public talk about Ginsburg’s health recently. Ginsburg, 85, is well-known for her regular exercise routine the “RGB” workout, which she performed this year with late night talk show host Steven Colbert on The Late Show. 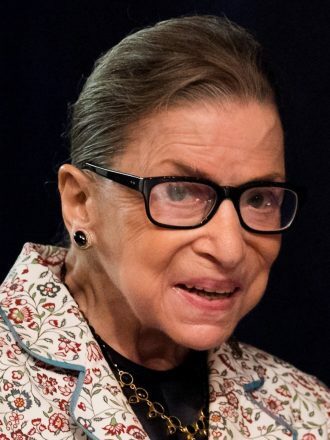 Ginsburg has publicly said she does not plan on retiring for at least five more years. The court said it would provide updates on her condition as they become available.